Happy children make for a happy home! Sour kids make for a long weekend! We opted for the former and had fun making memories at the lemonade stand! This was no ordinary stand – it was the larger than life interactive centerpiece of my book launch. The book, LEMONADE SOLD OUT is Vol. 5 of the “Can I Have Some Money?” book series for children and the people who love them. If the book were only about the lemonade stand, it would just be cute… But there’s more to this story. During a school crisis, Chris takes immediate action to help a friend. His creative solution takes over the school in a flash! Then, the Principal finds out and calls Chris to the main office to… What happens next will amaze you! Who knew that lemonade would inspire this adventure? Brothers Chris and Max, their family and friends are back and at their best in this hilarious new installment, “Lemonade Sold Out”. The story is sure to please current fans while attracting new ones. The book launched with me as a featured author at the Brooklyn Book Festival, along with an author workshop and book signing. The entire event was good wholesome fun, just for kids and the people who love them. This picture says it all! In the workshop, we made our own mini lemonade stands, along with a business plan, fancy logos and of course, lots of interaction with our customers and friends. This entry was posted in Uncategorized and tagged #kidlit, 50th wedding anniversary, back to school, Can I Have Some Money?, Candi Sparks, cash credit Candi Sparks emergency allowance income Candi Sparks author kid money expert finance business loan swipe Can I Have Some Money?, child development, child reading, customers, entrepreneur, financial responsibility, Lemonade Sold Out, small business owner, supply and demand. Bookmark the permalink. 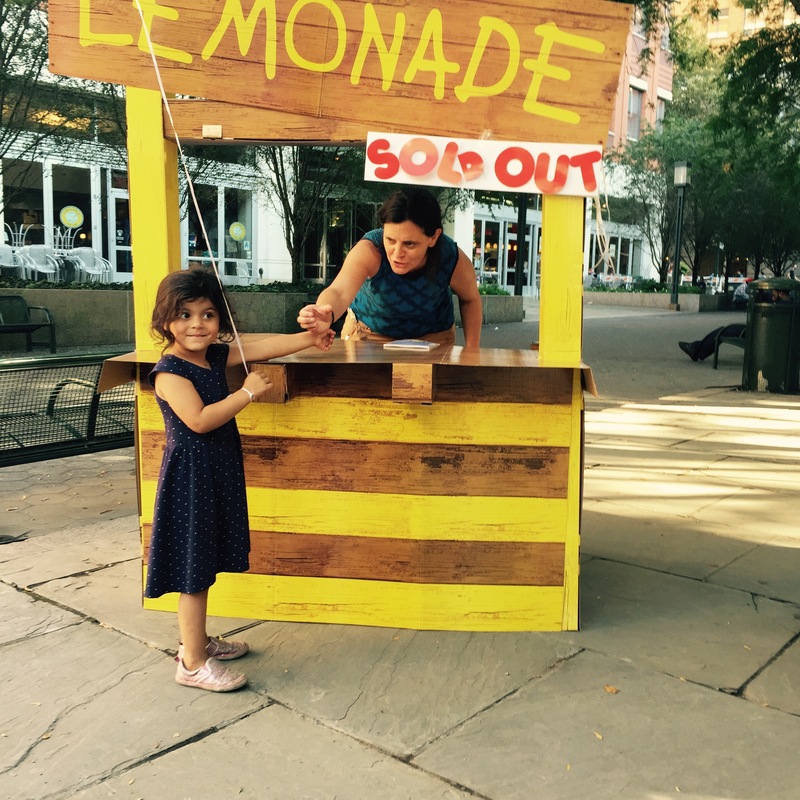 1 Response to “Lemonade Sold Out” fun book for kids of all ages! Great event. Even better book. A must for parents and children of all ages.